PES staff conducts wastewater effluent testing to demonstrate compliance with existing State permit conditions or Federal effluent limits. Our staff’s experience includes operating biological and physical/chemical wastewater treatment plants. • PES uses its testing laboratory to conduct effluent testing at various manufacturing facilities. 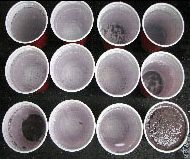 Jar tests calculate dosing of various coagulants: lime, alum, ferric chloride, and cationic or anionic polymers. Optimum dosing reduces operating costs. Industrial pretreatment program permitting for new facilities and modifications to existing dischargers. 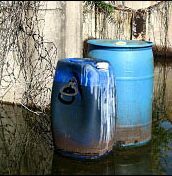 Stormwater discharges via NPDES General Permits. 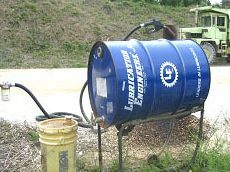 Wastewater sludge disposal and RCRA manifests. 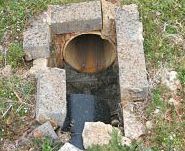 Conducted a wastewater research program for EPA to evaluate hazardous waste streams for delisting as categorically regulated. 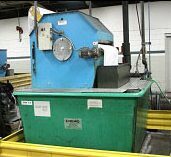 This effort for the Office of Solid Waste addressed mineral processing, iron and steel production, coke production, and electroplating industries. Relating manufacturing process conditions to effluent analytical testing results. Operating biological and physical wastewater treatment plants. PES staff prepares Spill Prevention Control & Countermeasures Plans (SPCCs). These evaluations can quantify the potential contribution(s) of releases from petroleum storage tanks to streams or lakes. More importantly, these plans lay out site-specific work practice controls to prevent releases. Our staff’s experience includes quarries, industrial sites, and petroleum distribution sites. Developing and upgrading SPCC Plans. Developing site maps from geographical information systems. This is an economical alternative to surveying that provides adequate representation of equipment placement and area calculations. Calculating the volume of stormwater in diked areas and in overland flow for NPDES discharges. Conducting evaluations of noncompliance on stream water quality. Conducting facility compliance inspections for SPCC Plan compliance. 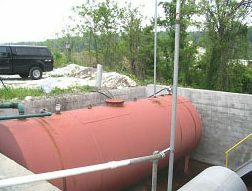 SPCC regulations also cover mobile tanks used at the facility. 55-gallon drums are the smallest unit of measure addressed by SPCC regulations.